If you want your next Deerfield Beach specialty coating project to look utterly complete, you should hire All Brite Painting Contractors as your painters of choice because we are committed to excellence and want to save your home and business from perils that will leave you vulnerable and cost you an arm and a leg to repair or replace. We carry the right products and have affordable services which you'll want to take advantage of. 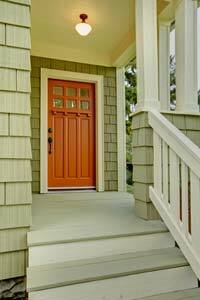 Many companies and homes require specialized painting that establishes beautiful and unique looking finishes. Do you neglect the things that need painted in your business due to cost? You don't have to worry about that as we can provide you with affordable services that will leave your walls and exterior lasting. It's a well kn ow fact that most business owners don't think about it until it is too late. Scuffmaster is one of the leading specialty coatings in Deerfield Beach that serves as an application for dynamic architectural applications. These are otherwise known as water-based interior paints which are used on a number of surfaces. For more than a decade now; All Brite Painting Contractors has been helping commercial structures with a number of specialty painting services. Our crew is skilled in a number of coating applications that will save you money and preserve your business. Why spend the time and money trying to do the job yourself? We have the time and equipment along with the skills to attend to your needs. There is no job too big or small that we cannot take on. Call today and have your free estimate done. At All Brite Painting Contractors; you can depend on us for specialty painting. Your business is important to you and we want to protect it as we carry name brand coatings and offer quality craftsmanship to get the job done on time and as needed. If you plan on hiring a Deerfield Beach painting contractor, make sure and go with Deerfield Beach. We can deliver these and other specialty services to your home or business. Call today for an evaluation. If you are looking for a specialty coating professional then please call 954-707-6348 or complete our online request form.